The May Day performance of the government’s two main parties, the UNP in Colombo and the SLFP in Galle, will be reassuring to the leaders of the government. The large turnouts at their respective May Day rallies will give them the confidence that the mobilization capacity of their local level organizers is strong to meet the demands of electoral politics. Although the dissident faction of the SLFP led by former President Mahinda Rajapaksa also posted an impressive turnout it could not match those of the government parties. The impression they attempted to create that despite being outside of the government they could mobilize people on the same scale if not better was shown to be unrealistic. President Maithripala Sirisena who, as leader of the SLFP, had warned the dissidents of strict action against those who held a rival May Day rally is now likely to feel confident enough to take the action against them that he has threatened. But it is not only on the dissident faction that the President needs to focus. He also needs to take action along with Prime Minister Ranil Wickremesinghe against those within the new government who deviate from the norms of good governance they have been promising. On the morning of May 1, one of the red clad members of the JVP who was supervising the arrangements for its May Day rally in Colombo recognized me and wished to speak. He said that the corrupt and inequitable system of government and economy needed to be changed. He did not see much of a difference between the present and previous governments, though he acknowledged that political activists like him felt safer these days to express their views. What he said was similar to the views I hear at the community level civil society meetings I attend out of Colombo, which focus on the post-war inter-ethnic reconciliation process. On April 30, the day before May Day, I was in Polonnaruwa, the home district of President Sirisena to attend a meeting on the reconciliation process and explain the needs and requirements for reconciliation within the country, and with the international community, in the aftermath of the resolution of the UN Human Rights Council in Geneva. During the period of the previous government, Polonnaruwa was seen as a stronghold of Sinhala nationalism, in part due to it being on the border with the war zones of the North and East, and where numerous massacres of civilians had taken place. It was generally regarded as an inhospitable place for peace organizations to work in, as they could face the wrath of the nationalists, and even be subjected to physical assault and be left to fend for themselves due to police inaction. But on this occasion I found that the participants in Polonnaruwa, ranging from Buddhist and other religious clergy, local government officials and leading members of civil society, did not get agitated when discussing either the history of the conflict or the government’s proposed response to the UNHRC resolution. Instead there was a positive sense of appreciation about the need for a mutually acceptable solution that brought the ethnic and religious communities together. It was also significant that in Polonnaruwa the main issue on which the participants wanted to comment on their own volition, was the need for the political leaders and the government to work for the country without being corrupt and siphoning away resources to themselves to the detriment of the people. This popular desire is in accord with the government own stated aspiration, as expressed in its election manifestos, of instituting good governance and taking exemplary action against those who have engaged in illegal and corrupt activities. The term accountability has taken on a restricted meaning in the aftermath of the international focus on war time human rights violations and war crimes. Accountability is not only a matter of seeking the truth about human rights violations and war crimes. It also concerns general crimes in society and also economic corruption. During the previous government those who were its members, whether at the national or local level, enjoyed a great deal of immunity from the law, whether in regard to violent crimes or financial ones. Indeed, the government started off in an exemplary manner with the near unanimous passage of the 19th Amendment to the constitution in April last year, where it reduced the powers of the presidency that had been subjected to gross abuse previously, and strengthened the independence of key state institutions like the police, judiciary and public service. The government thereafter followed up on this by appointing commission of inquiry into major acts of financial corruption and set up the Financial Crimes Investigation Department (FCID) of the Police. At the beginning the government’s commitment to tackling corruption appeared to be so high, and the FCID so active, that there were complaints by businesspersons that they could not get government officials to approve their plans or give them necessary permits as they all started to go by the rule book for fear of being accused of corruption for not abiding strictly by the government bureaucracy’s financial and administrative regulations. Unfortunately in the past several months, the government appears to have run out of steam in regard to pursuing general crimes and economic corruption of those who held and who hold high positions in government. The zeal with which it was seen to be pursuing corruption has been seriously undermined by incomplete and partial investigations into past acts of corruption and due to allegations of new ones committed by those appointed by the new government also. In addition, Western diplomats stationed in Colombo have also begun to complain about apparently inexplicable government decisions relating to trade and investment which can have negative consequences on Sri Lanka’s access to those markets and to investments from them. One of the basic problems appears to be lack of transparency in the government’s decision making, which is not a positive sign of good governance. The terms and conditions under which projects with China have been restarted are also not entirely known, which is not helpful in generating the trust needed for investments in the country. The other is the slow pace of investigations that is constantly given as the reason for the failure of the law enforcement agencies to act. Whether it is the care taken by the investigators to get all their facts right, or whether it is the entrenchment within the systems of government of those from the past who have a vested interest in stalling the investigations is a point to be considered. However, with the passage of time and the promotion of new persons into positions of authority, such as the new Inspector General of Police, there is the possibility of change. It is also possible that the government has found it difficult to take action against those who are miscreants, and to be more transparent, due to the threat posed by the division within the SLFP. One of the questions in the minds of the general population has been whether the President can keep his control over his own party or whether the former President will stage a comeback. Unbowed by their two successive election defeats, and unprepared to wait their turn till the next presidential and general elections, they have been making their case to come back to power soon by claiming to be the true leaders of the SLFP. Before they do so they need to be held accountable for what happened in the past, both in regard to human rights violations and economic corruption, because accountability in the present and future is dependent on how accountability in the past is handled. Now that the May Day rallies have shown the true strength of the government and its opponents, the time has come for the government to live up to its promises of good governance. 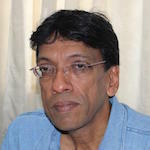 Coup d’état In Sri Lanka?